From a shiny copper penny to the beautiful green patina of the statue of Liberty, Copper’s beauty is remarkable. 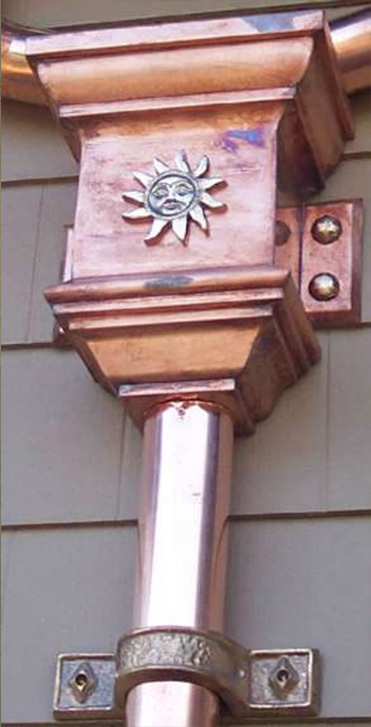 The well-known green patina that copper develops actually protects it from corrosion, making it a good choice for gutters. Copper Gutters will last a lifetime. 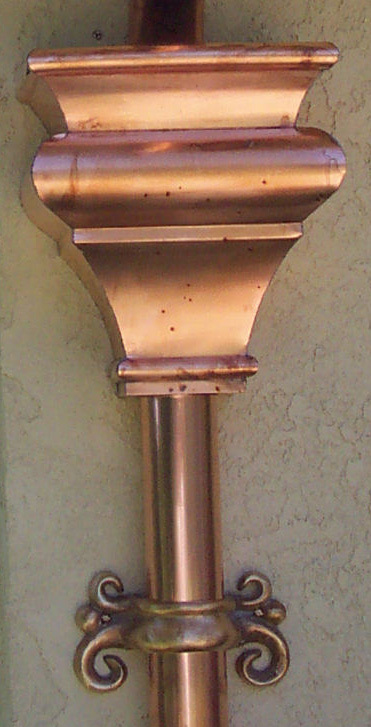 To help you design and install a copper gutter system make sure your contractor has the experience. A perfect Copper Gutter installation takes finesse, experience and appreciation for the art itself. 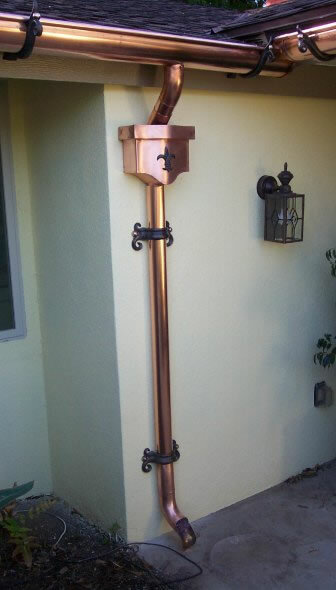 I was trained by one of the best Coppersmith's on the Pacific Coast. 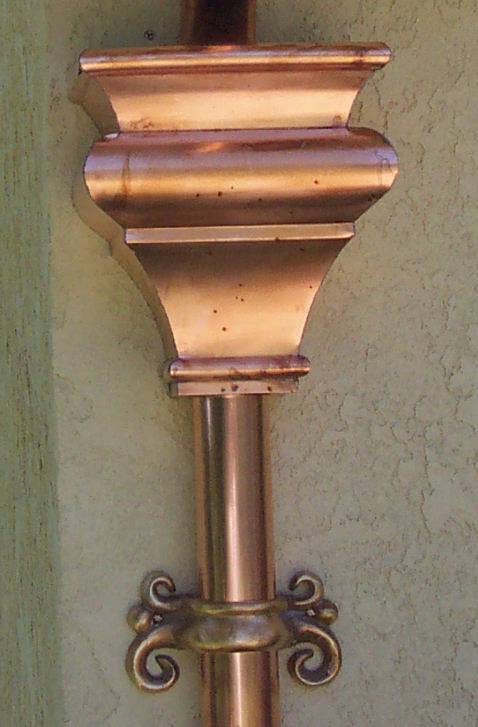 Through this connection I am able to offer unbelievable decorative copper gutter accessories. 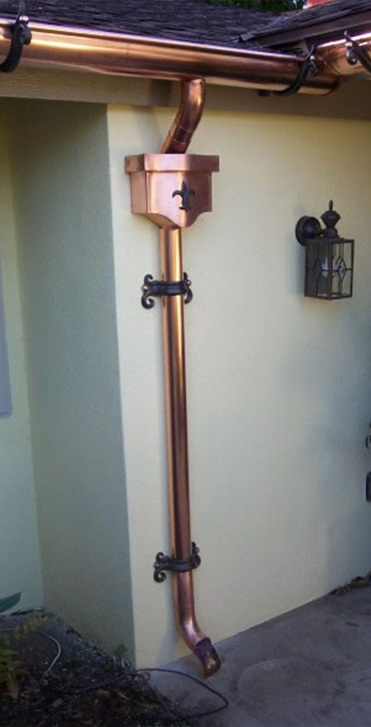 I am excited and look forward to helping you design your one of a kind copper masterpiece. You can go to A.B. 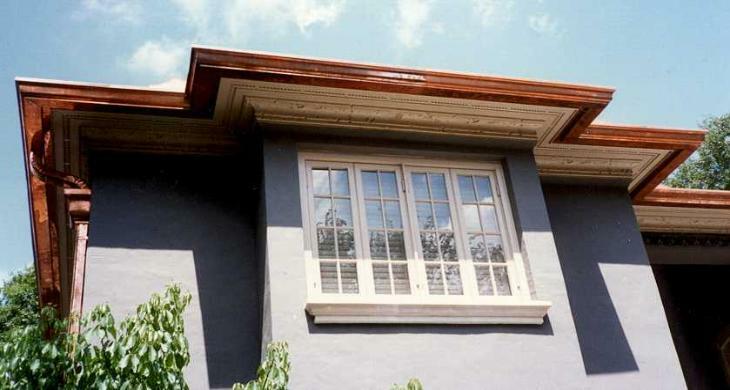 Rain Gutters for more options and ideas to help you set up the perfect copper gutter system that works best for you.